RIFT® Community - en – Get a bonus Budgie Trove with Rixty or MOLPoints! Get a bonus Budgie Trove with Rixty or MOLPoints!  From now until March 31, 2014 players who make a RIFT purchase of $20 or more via Rixty or MOLPoints will receive a bonus Relic Budgie Supply Crate! Each Budgie Trove contains currencies and a chance at rare armor and costume items. In addition, the Troves of a lucky few will also contain a Budgie Mount! Simply make your purchase through the Rixty or MOL websites, or in-game using Rixty as your method of payment, and you’ll receive a code by email (within 24 hours) to redeem for your Supply Crate.